So I met someone "at a coffee shop" (my version of the story). I walk into a local coffee shop to meet him (randomly of course, I mean, it's not like we met on an online dating website or something...nope... not even that at all...wasn't Match.com... nope... ), and before words are spoken between us, he spills hot coffee on me...So naturally, I retaliated and within 60 seconds, I got us both with more coffee. So we left with $10 worth of unused tokens (we were reimbursed the 2 we used since the machine didn't work right), and decided to go see a movie. We picked out the latest horror film, and it's latest showing, 10:50 PM. We headed off to Iggy's for a quick bite, and arrived back at the theatre at 10:45PM...to find the doors to the theatre locked. After finding a way in, we headed to what turned out to be the last 20 minutes of the movie (we read the 10:50 AM showing) ... Basically we arrived just when you find out Bruce Willis has been dead the whole time. Several months later, after a day that we've decided we "failed with Flair," We've been on 5 mini vacations with and with out the 3 kids between us. We've gone on Motocycle rides, to competitive races, and Skydiving in Moab. Our kids love each other, and so do we. 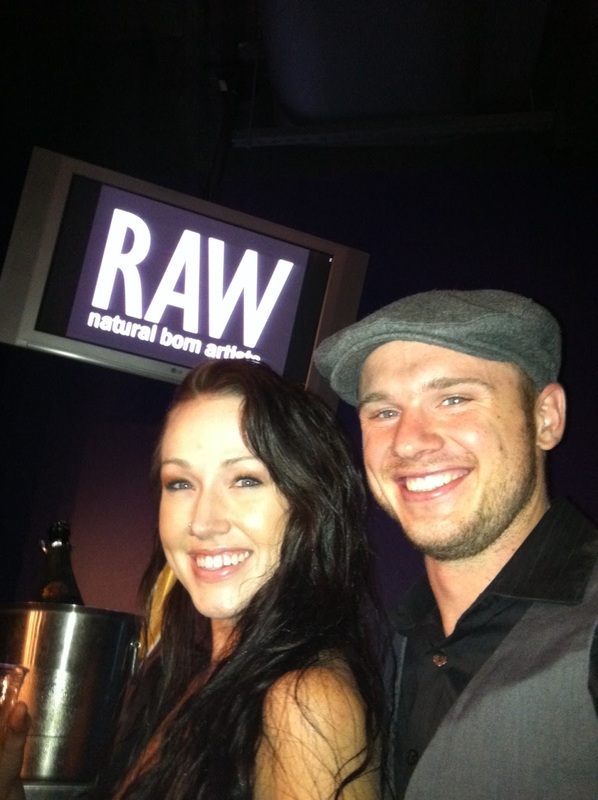 Last weekend we attended RAW's runway show at The Depot in SLC, UT. Where I will be the featured artist in September... More on this in the next post... which is right now.